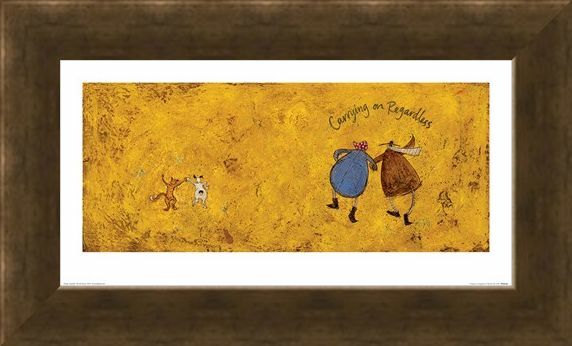 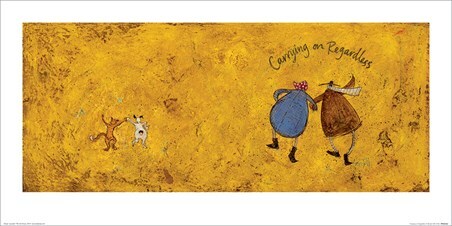 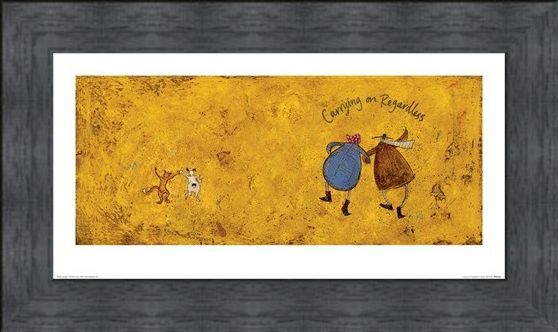 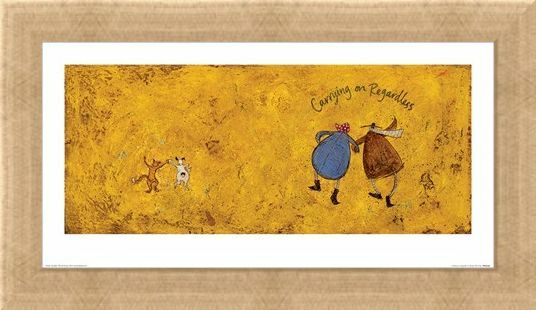 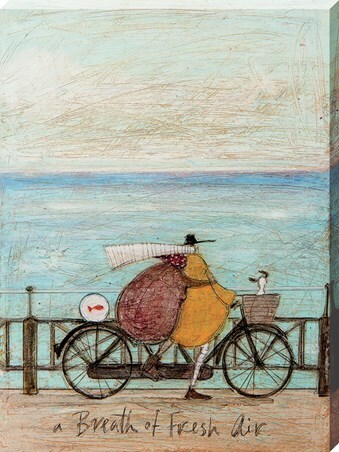 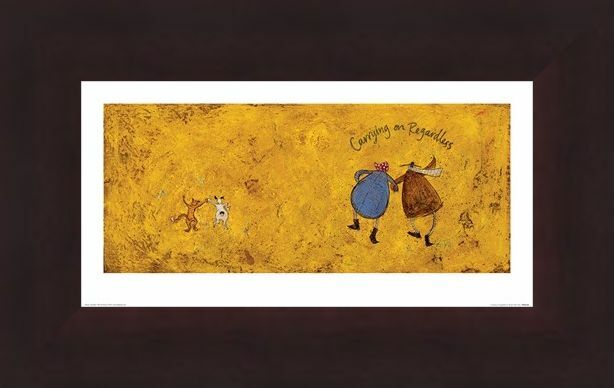 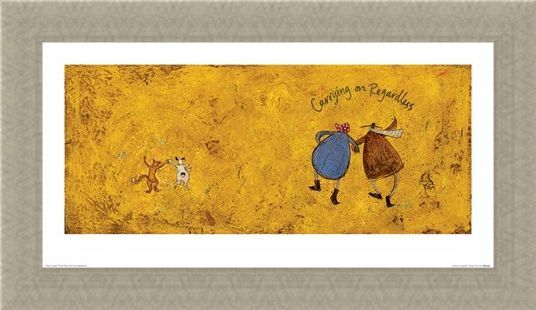 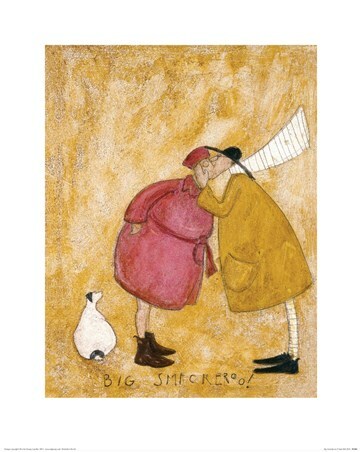 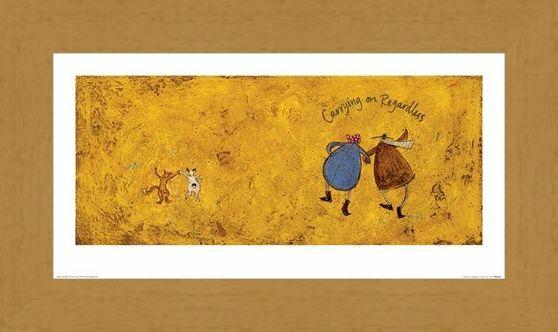 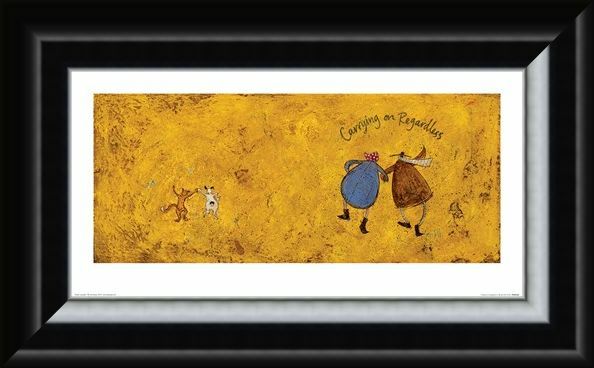 Skip your way through life with this inspiring print from Sam Toft hanging proudly on your wall. 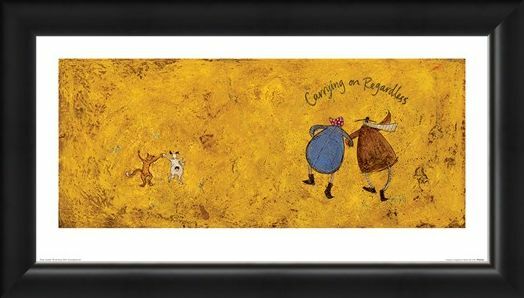 This beautifully motivational print features Mr Mustard and Violet as they bounce their way along with Doris and a cheerful stripy ginger cat at their side. 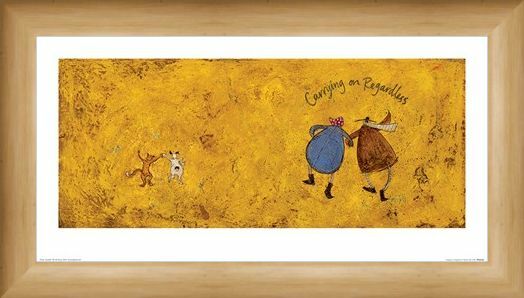 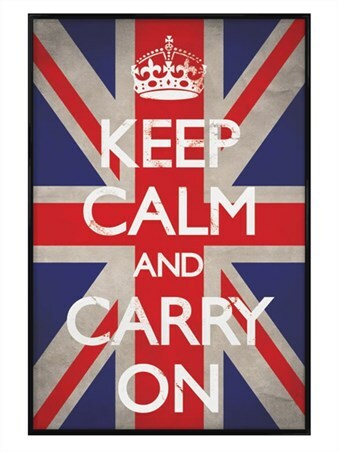 If you need to inject some positivity into your home, then this is a splendid way to make sure you have the perfect balance of motivation, humour and artistic charm in any room. 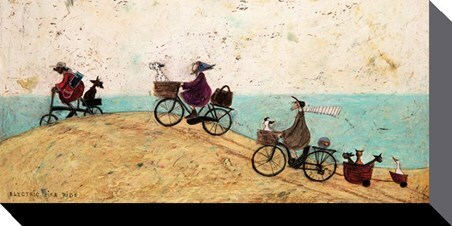 High quality, framed Carrying on Regardless II, Sam Toft print with a bespoke frame by our custom framing service.